I'm starting to do Internet Marketing consulting on my spare time and need a logo, letterhead and business cards designed. - 4/4 color is Ok. Also, I like the look of full bleed. - I'm open to horizontal, vertical, or both. - I'm looking for something truly unique and edgy in card design. View the link in the short description for samples of designs that I like. 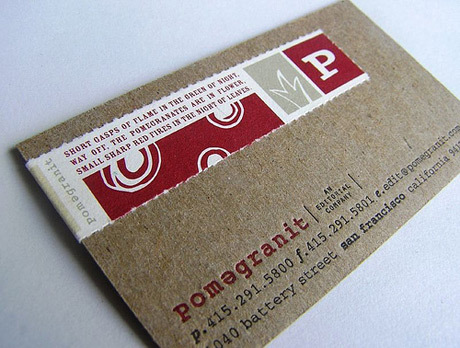 I'd ideally like to have one part of the card letterpressed or embossed - bonus points if the item being embossed works on both sides of the card. - The card should have space on the back to be able to write down any notes but the back of the card does not need to be entirely blank, just as long as someone can jot down a few words should be enough. - Card will be printed on heavy stock (160lb probably), maybe something with a weave. - Card will carry my name, phone number, email, url and possibly a tagline (or small list of services). - My initials are RV if that helps. - You can also try and work in something quirky like, "I Like Dogs"
I prefer simple lines to complex design. note: This is my first contest here, so if I've left anything out, or if I can somehow improve my listing, please let me know.